We were delighted to welcome Dr May Ng at Peterhouse this morning. 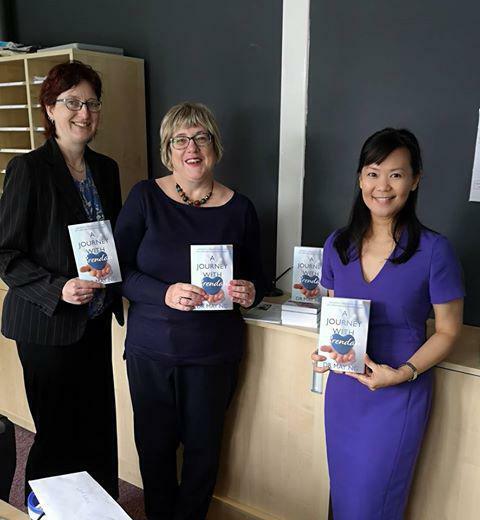 Dr Ng is a Southport Paediatrician as well as the parent of a child with Autism and has written a book about her experience, which combines both her parental view and her professional perspective. She hopes to offer families help, advice and reassurance by sharing her story. Dr Ng very kindly donated some signed copies of her book to Peterhouse! 'A Journey with Brendan' is available on e-book, kindle and paperback versions from Amazon.